Many years ago, I was given a definition while taking a graduate course about the family. Through the years, I have often used it as a poster project lead-in to my family unit. However, since going 1:1, I decided to try this assignment a new way, using technology…aka iMovie! While I’m not an expert with this app, my students are and they were eager to assist their peers when necessary. I even surprised myself by creating a YouTube channel so I could share a couple student samples with you! Not a 1:1 school or have access to technology–no worries! I’ve included my original poster assignment (see attachments), which by the way could be easily modified for the differentiated classroom. 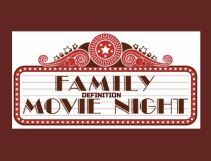 I loved seeing how each student interpreted the family definition and how unique and diverse each movie was…just like families! Provide each student with the family definition. Before having students “chunk” the definition into sections, I show and explain what I mean by text opportunities in the iMovie trailer templates. This simply means the number of places within the template that they can add their text which in this can case will be the sections of their definition. Students then choose a template and based on the number of text opportunities, dividing their definition accordingly. Before students begin their iMovie, I have them check in with me so I can see how they’ve divided their definition. You just want to make sure that the sections aren’t too large or they become small and more difficult to read within the video. Once the definition sectioning was approved by me, students could begin saving pictures to their camera roll. Pictures were to be selected based on the portion of the definition they were working with. Students also had to think about why they were picking the images and how they connected back to the actual definition. I encouraged them to make notes along the way so they could remember their reasons. Students put together their videos and edited them for errors and when satisfied they saved them to their Google drives and shared with me via Google Classroom. In addition to the video, students had to interpret and explain their selected pictures and how they connected to the definition in a Google Doc. This was also shared with me via Google Classroom. While I didn’t make YouTube videos for the entire class this time, I did ask a couple students for permission to use theirs as samples. I did share all of the videos with the class because I thought it was important for them to see different perspectives and interpretations. I can't wait to try this lesson! I start a Family Dynamics class next Friday. This would make a wonderful project the first week of class!